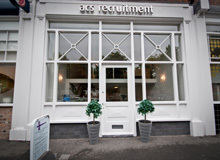 ACS are currently recruiting for Paralegal for a Cheshire based firm. To support the Trust in all aspects of delivering a legal service which meets both internal and external requirements. This includes assisting with all aspects of the management of clinical and non-clinical claims, working closely with instructed solicitors/barristers and the NHS LA; liaison with HM Coroners and their Officers in the management of inquests. The post holder will be prioritising and managing own delegated caseload of claims, inquests and other enquiries or requests for legal advice. This will include supporting staff in writing statements required for legal matters, attending inquests and other Court hearings where appropriate. Arrange and chair pre-inquest meetings with staff called as witnesses, ensuring they understand what is expected and supported throughout the process. Liaising with Head of Clinical Governance to instruct solicitors and Barristers, when required, ensuring they are given very clear and concise instructions. Oversight of inquest process (with admin support), including considering draft statements, review of matters to ensure all necessary information available from Coroner and to witnesses prior to inquest, ensuring RCA report disclosed to Coroner and any updated action plan provided where necessary and identify any issues which may affect the reputation of the Trust. 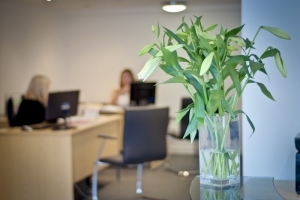 To assist in preparing staff involved in an inquest, and identify any issues which may affect the reputation of the Trust. To feedback learning from Inquests to relevant services. Assist the Head of Clinical Governance in responses to all reports from Coroner written pursuant to Regulation 28. To identify issues which may affect the Trust’s reputation, and continue to review such issues as they arise during the course of an Inquest, working closely with the Director of Communications and other senior colleagues.